The original version was compared with the US version. This cut-report also documents the differences between the UK theatrical version and the US theatrical version. 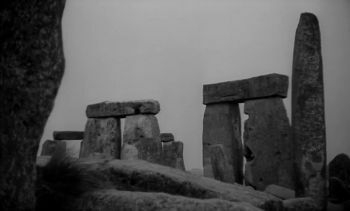 The scientist John Holden comes to London to attend the congress of his friend Professor Harrington who wanted to disclose the practices of the local witch master Dr. Julian Karswell. But Harrington was haunted by a demon and finally killed. Karswell tries to influence John so that he does not disclose his practices. John, who is very sceptical about supernatural events meets Joanna, Harrington's niece. She shows him a diary in which Harrington writes about his fear of the powers of Karswell. John does a bit of research and comes across Rand Hobart, who was once part of the cult of Karswell but is currently in a comatose state after a traumatic event. Can John get behind the mystery of Karswell? Is he really a warlock or is everything just an illusion? 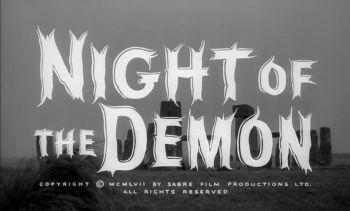 With Night of the Demon director Jacques Tourneur has created a coherent, incredibly exciting film about the mysterious activities of a witch cult leader. On one side stands the character of the sceptic John Holden who tries to explain all mysterious events with rational means and on the other side Joanna who is open to the supernatural. In the course of the film a love relationship develops and even John finds it more and more difficult to stay on his point of view. The finale is fantastic and the effects are still convincing today. Clear recommendation. In Germany, the film was only released by the label Anolis as the first part of the "Revenge of the gallery of horror" box on Blu-ray. The release is now out of print and is being sold at completely exorbitant prices. Fortunately, the UK Blu-ray by Powerhouse Films now offers a remedy. It offers not only four different versions of the film including the option to see the film in 1,78 or 1,66 aspect ratio but also much more extensive bonus material than the German release. As this picture comparison makes clear, the image quality of the UK Blu-ray is superior to the overfiltered German Blu-ray. Powerhouse Films has once again done everything right, so that you can make a safe purchase recommendation here. 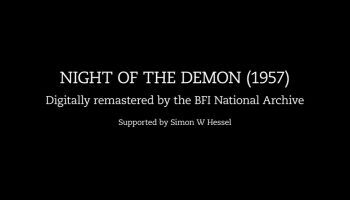 This is the original version and at the same time the longest version of the film. 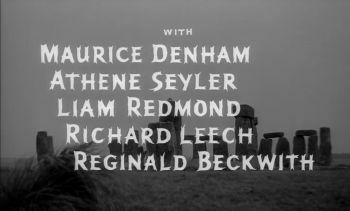 In the opening scene, when the narrator talks about witchcraft while Stonehenge is shown, this version is slightly longer than the US version. 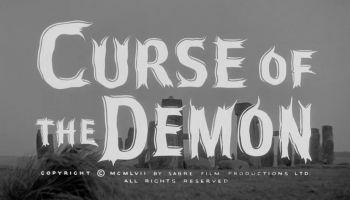 The title of the film was changed to "Curse of the Demon" for the US market, and the narration was shortened at the beginning. Otherwise there are no further cuts. The UK theatrical version is strongly shortened in its storyline, probably to increase the tempo of the film a bit. In some places shorter alternative scenes were used. 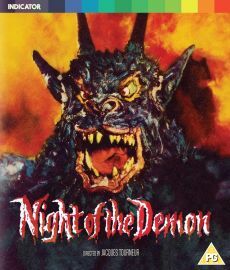 This version has the identical cuts as the UK theatrical version, in addition, like in the US reissue version the narration at the beginning of the film was shortened and the title changed to "Curse of the Demon". In principle, the uncut original version (pre-release version) is recommended. 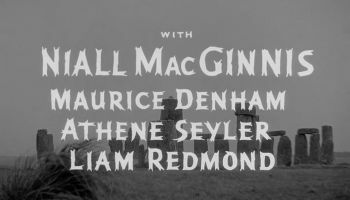 The UK theatrical version is a bit swifter and thanks to the use of alternative footage, the cuts don't stand out very much if you don't know the original version. 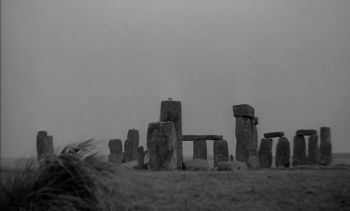 The differences between the US versions and their respective UK counterparts are marginal and limited to a small shortening at the beginning of the film. UK movie version: 82:05 min. US movie version: 81:43 min. 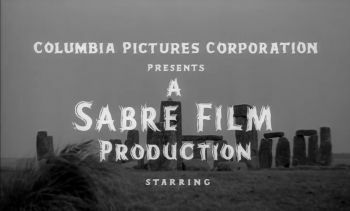 The US version begins with a restoration remark. 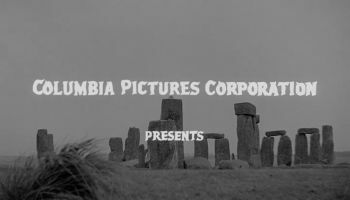 After the narrator has said "...the demons of hell", the US version´s opening credits follow. "Through the ages, men have feared and worshipped these creatures. The practive of witchcraft, the cults of evil have endured and exist to this day.